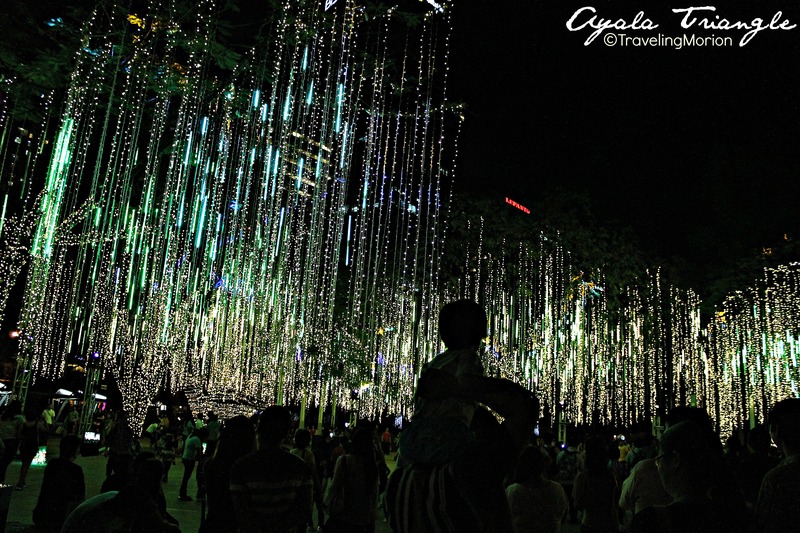 SnapShot | A sub-district of Makati, Ayala Triangle is a perfect barkada/ family's tambayan during Christmas Season. More or less 800,000 colorful LED lights comes to life on its month-long lights and sound show. The enchanting show is available every 30 minutes from 6:00 pm - 9:00 pm. This year's show was dedicated to the survivors of typhoon Yolanda in the Visayas. Your photo is beautiful. But, I bet it doesn't do the place justice. 800,000 lights would be an incredible sight! lights are Sylvania and Philips, who sell maximum number of LED lights and related devices in the world.